The primary aim of Kendriya Vidyalaya Sangathan is to establish, maintain & manage the Central schools located all over India and abroad. Kendriya Vidyalaya Sangathan has released the notifications for KVS teacher recruitment 2018. Those, who are having a desire to serve in central schools must go through KVS online Recruitment 2018. 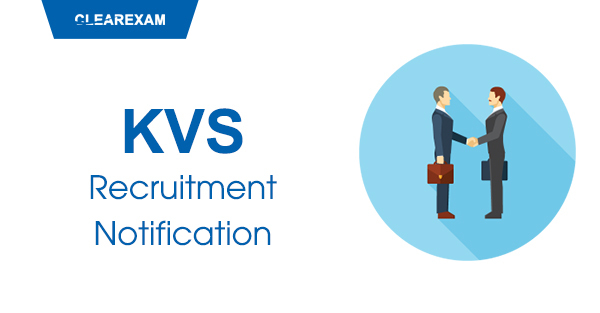 A candidate must visit for KVS online recruitment 2018 for filling the online form. SC, ST & PH - (No need to pay fee). Exempted to pay fee. Make the payment online - Net Banking/Debit/Credit Card or offline - by Bank challan. Principal - 35 - 50 yrs. Vice - principal - 35 - 45 yrs. Candidate can check the Examination schedule for various posts of KVS Exam 2018 through the KVS official website or in this article. Sangathan has released the examination schedule for various posts, to be held in the month of November & December respectively. Exam Schedule for Principal, Vice-principal, teaching posts & librarian can be downloaded from official website. Admit card for the post of Principal & Vice - Principals are available on official website. That can be downloaded anytime by entering registration number. Online security of online applications submitted by the candidate, the following duplicacies have been noticed. Some candidates have committed such mistakes so that their candidature was liable to be canceled. So these corrective steps for different categories of discrepancies are taken and informed. Two different roll number for the same candidate for the same post cannot be generated. Only the last registration number related roll number will be generated. In such case, only last registration will be acceptable to allow the candidate provisionally. Different registration will be merged against single registration number and post applied for, will be added therein to have one roll number to allot same centre. Such cases appear to be dubious and probed for genuineness. Mail is sent to such candidate for clarification failing which the candidature will be treated as cancelled.